I found my stitch count was off on my Milk Run Shawl, so I frogged it. I also had decided I did not like the beginning, so I wanted to fix it. The problem is there is no fixing what I don't like. At least, not to my knowledge. The first picture is of the starting point; the ridge is my complaint. 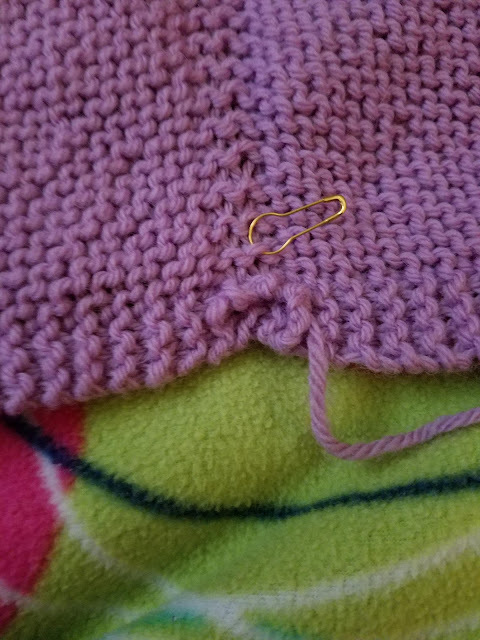 I do not know if that has to be there, as a result of picking up stitches, or not. The second picture is where I currently am. 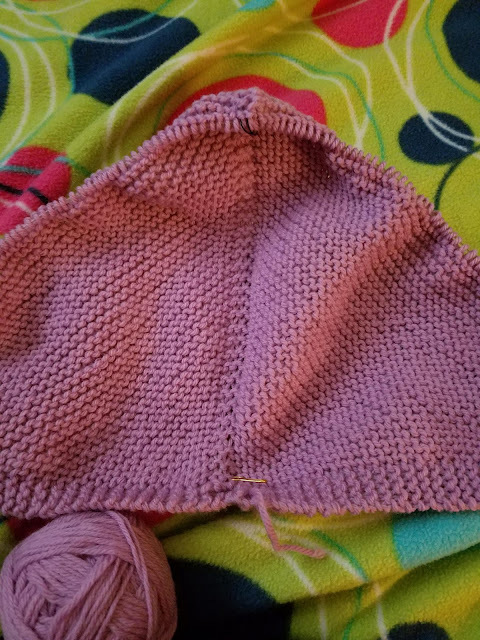 I have a little less than half back of where I was, which was probably about half of the shawl body. I hope to get back to where I was soon.